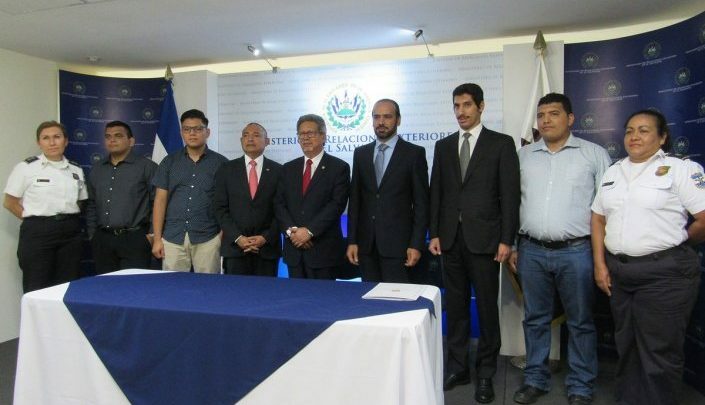 San Salvador: The State of Qatar has provided a $100,000 grant to support sons and daughters of police officers who died during their national duty in the Republic of El Salvador. In a speech during a ceremony held by the Ministry of Foreign Affairs of El Salvador, in coordination with the Embassy of the State of Qatar, the Minister of Foreign Affairs of El Salvador, Carlos Castaneda, extended thanks and gratitude to the State of Qatar for its donation for the sons and daughters of police officers who died during their national duty. He said that the grant expresses Qatar’s solidarity with El Salvador, especially with the police forces, by supporting the scholarship programme which aims to enable students to complete their university studies. He noted that about 41 students have benefited from the programme in the fields of accounting, legal sciences, international relations, agricultural engineering, mechanics, media, and computer. For his part, Charge d’Affaires of the Embassy of Qatar to El Salvador, Tariq Othman Al Othman, praised the bilateral relations between the State of Qatar and the Republic of El Salvador and stressed that this grant comes within the framework of the State of Qatar’s commitment to support friendly countries, and in recognition of the sacrifices made by the police officers who gave their lives in the course of their national duty in an attempt to ensure security and tranquility, protect the Salvadorans, prevent and suppress crime and control the climate of violence experienced by the country. Al Othman reiterated Qatar’s commitment to supporting all humanitarian initiatives that will help achieve sustainable development in friendly countries and all countries of the world. قدمت دولة قطر منحة بمبلغ مائة ألف دولار، لصالح أبناء وبنات أفراد الشرطة الذين لقوا حتفهم خلال أدائهم الواجب الوطني في جمهورية السلفادور . وقال إن المنحة تعبر عن تضامن قطر مع السلفادور وخاصة مع قوات الشرطة من خلال دعم برنامج المنح الدراسية الذي يهدف إلى تمكين الطلبة من استكمال دراستهم الجامعية… مشيرا إلى استفادة نحو 41 طالباً من البرنامج في تخصصات: (المحاسبة والعلوم القانونية، وإدارة الشركات، والعلاقات الدولية، والهندسة الزراعية والميكانيك، والإعلام، والكمبيوتر).